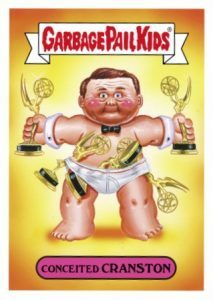 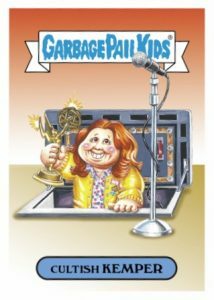 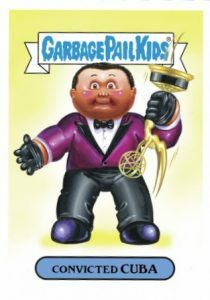 The biggest night for television has been given a dose of GPK with the Emmy-inspired 2016 Topps Garbage Pail Kids Prime Slime Awards. 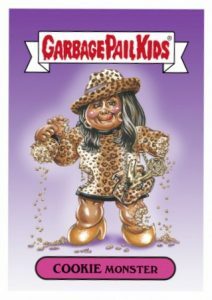 Exclusive to the Topps Online Store, the Garbage Pail Kids parody cards are sold for one week before being retired. 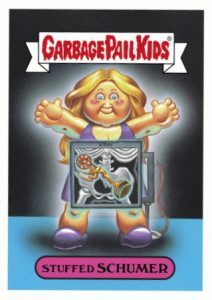 Looking to some of the biggest tv stars of today, few escape the playful ribbing from GPK. 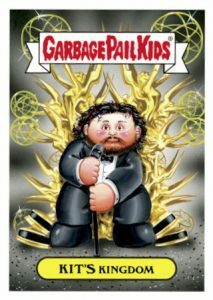 This includes favorites like Kit Harington from Game of Thrones and Taraji P. Henson of Empire. 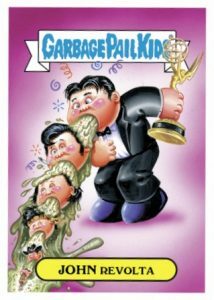 Of course, even legends like Cuba Gooding Jr. for his starring role in the miniseries The People v. O.J. 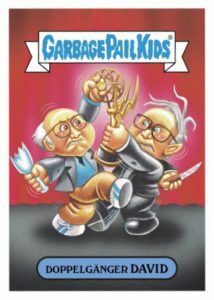 Simpson, and Kevin Spacey from House of Cards are covered in the humorous set. 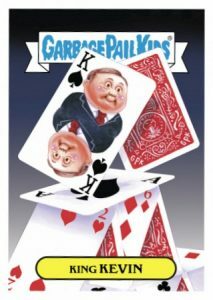 20 cards. 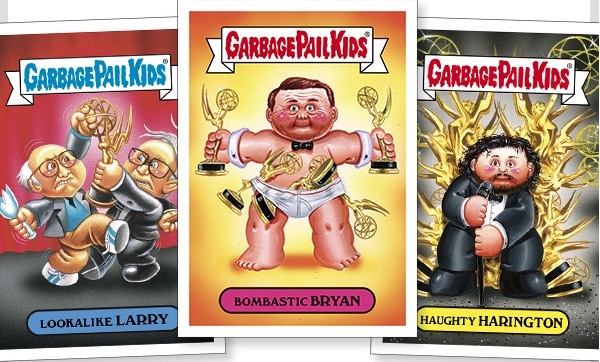 Announced print runs will be noted below. 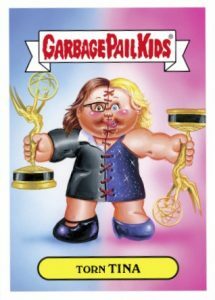 Available until 9/26/2016 at 12 PM EST.